You will definitely need to accommodate the new family member. He or she has needs too and they need to be met. Raising a new child to the age of eighteen, according to recent national estimates, costs an average of $ 280,000. That means you may need close to a quarter of a million dollars. This estimate is only based on the basic items, it may have left out several other requirements which are difficult to estimate. You need to review your budget to accommodate the new family member’s needs. Your income may not have increased, so you have two options: change jobs, or start a new business/side venture to adjust your current expenses. Perhaps the most prudent thing to do is to cut on expenses and acquire some savings which can be used for the additional member’s needs. You can cut down on non-essential spending, such as travel and entertainment. You can also cut down on luxurious goods. Stick to the basic needs, while saving the amount left over from such budget adjustments. You will need to determine your financial priorities. Ensure that what you spend your income on reflects your priorities. You may have thought of building a bigger house or buying a new car, but now you have a new member who needs to be catered for, perhaps planning how you can start saving for his or her future should be your priority. 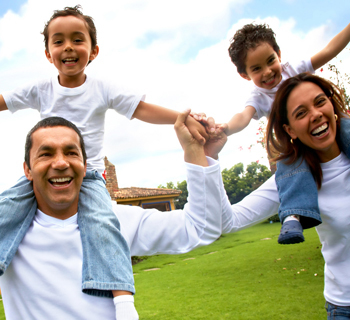 Taking out an insurance policy which can cater for his or her future will save you a lot. Welcoming a new member will need some adjustments in order to ensure that he or she enjoys the kind of life that you would have wanted.